We are an award-winning, family-run, independent furniture shop, located on the border of Bournemouth and Poole, Dorset since 2008. We LOVE to travel, and we go all over the world to bring back hidden treasure for our lovely customers! We offer beautiful premium quality Indian sheesham wood furniture, dark and light mango wood furniture, along with shabby chic reclaimed painted wooden furniture, fair trade teak root pieces. 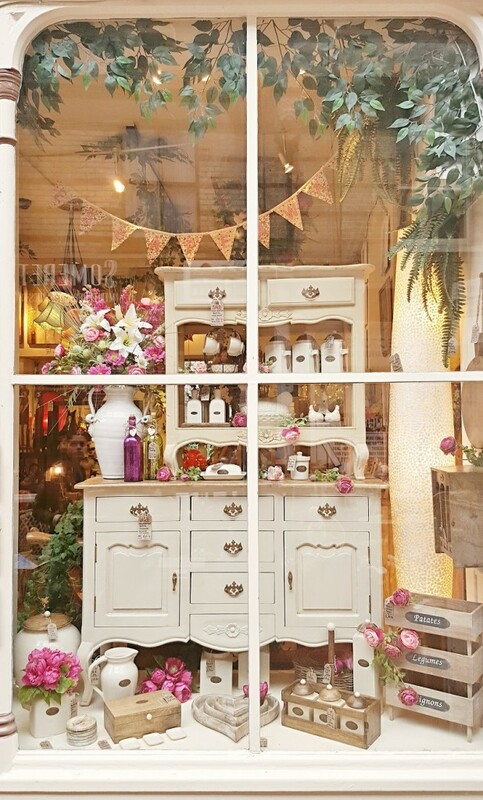 Our sumptuous furniture ranges are off set by our beautifully exotic silk flower arrangements, and fabulously quirky home accessories from all around the world. As an award winning business, we have been featured in BBC breakfast, ITV, Bournemouth Echo, Hope FM, Progressive gifts & Home magazine, Gift Focus magazine. Our fabulous wooden furniture is seen in many homes throughout Dorset, Hampshire, Wiltshire, as well as even further afield in Scotland, Ireland, and even Australia! We have supplied commercial furniture and flower arrangements to well-known local restaurants, shops, as well as many other establishments. 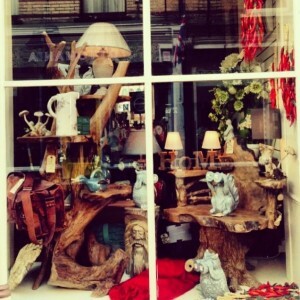 Our Lovely shop front ! It All Began when ……. SCAPE was born with no more than a man with a plan!! 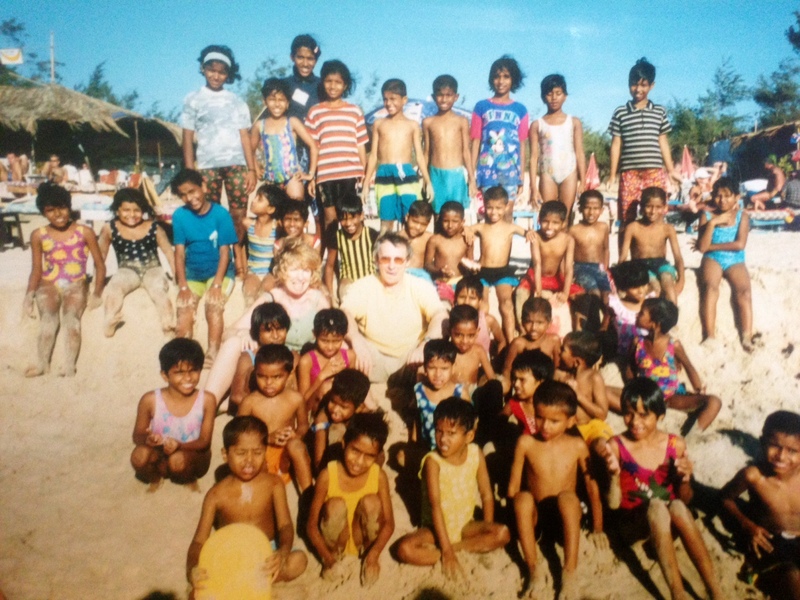 After a visit to India in the late nineties, our founder Chris Brandon, was invited to help with an organisation called El Shaddai, which was in the process of opening sheltered housing for India’s desperate street children. El Shaddai was the very first charitable organisation to help the orphaned street children in the province of Goa, India. Chris was soon enjoying his involvement within the charity and was eventually made treasurer for the international fund raising operation. After this, he began spending three months a year living in India, traveling the length and breath of the country. It was during these trips that he discovered many of the wonderful skills of the local artisans and craftsman, who were creating beautiful handicrafts. 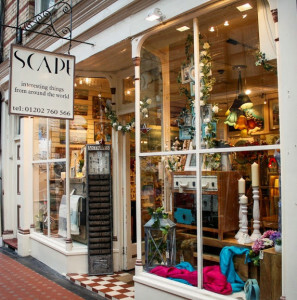 Inspired by a love of travelling as well as a love of deliciously handcrafted products, upon his return to the UK in 2008, SCAPE Interiors West Ltd was opened in Bournemouth, Dorset. As the years go by, our passion for travel only grows, and we continue to go all over the world in search of wonderful new treasure to bring back and fill our lovely shop! What do we sell? Well……. Working with our suppliers in India, we have helped to design a range of light mango wood furniture that we are very proud of. We are also in the process of developing a brand new range of wooden furniture that will be exclusive to us. Many of our products are sourced fair trade where possible and the origins of our products are very important to us! We have a strong fair trade ethos and strive to ensure our suppliers receive a fair price, so that the men and women creating the products take home a good local living wage. We have a vast array of quirky home accessories including hand carved collectible chess sets from Italy, premium grade Brazilian cow hide rugs, handmade silverplated jewelry from Turkey, handmade leather wall sculptures from Egypt ,hand blown glass from Germany, Tibetan sheepskin rugs, Vintage style clocks from France, fair trade teak root furniture from Indonesia, hand made shell lamp from Thailand along with Ashleigh & Burwood fragrance lamps, Woodwick candles, alphabet placemats, stunning silk flowers and SO MUCH MORE!! Oh yeah, and we’ve won some awards too!! We have been selected as the finalist for three national awards, 2017 Greats award ”best lifestyle, home-ware and gift retailer” , 2015 Greats award ”best non-specialist retailer of gifts and 2014 Greats award ”best lifestyle, home-ware and gift retailer”.We also won the Small business Sunday award from Theo Paphitis in Feburary 2015, and our visual merchandiser, Katie Allsopp, won the 2014 Greats award “Employee of the year”. We won 2013 most innovative business award from Bournemouth Chamber of Commerce and Trade, and also came up as the runner-up for the best independent retailer in the 2013 Christmas window competition. We are one big family here at SCAPE, and we love sharing our passions and our inspirations with our customers.If you would like to be a part of our extended SCAPE family, join our email list , ”like” us on Facebook, OR follow us on Twitter.